I do it every September. Go to Trauger's Farm Market over the river in Kintnersville, Pennsylvania and get a bushel of plum tomatoes to prep for the freezer. Over time I've gotten somewhat wiser about this, and buy the tomatoes a half bushel at a time. That's two days processing. (A bushel is 40 to 44 pounds, depending on the produce.) 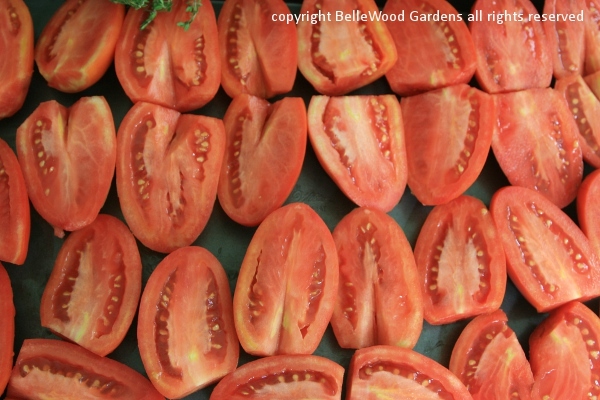 There are all sorts of options for processing tomatoes for long term winter storage. You could make juice, sauce, diced, whatever, then either can or freeze. Canning does have the advantage that power outages will not become a matter of concern. Freezing eliminates the glass jars and boiling water bath. I do something different. 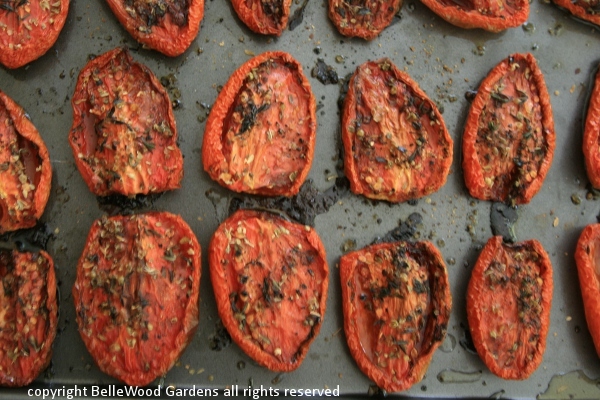 First, the tomatoes are oven roasted to intensify their flavor, after which they are frozen. cut side up on a shallow rimmed pan. Pack them together as closely as can be managed. 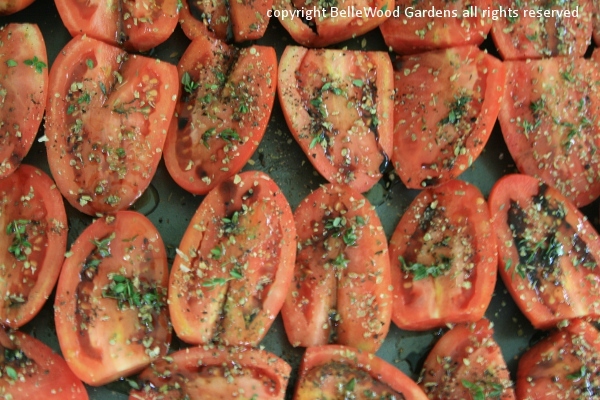 I flavor the tomatoes with fresh thyme, some dried oregano, a little freshly ground black pepper. 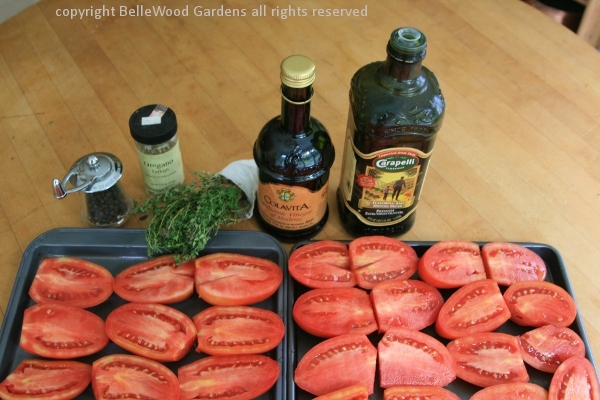 Next, a spritz of balsamic vinegar, and a sprinkle of olive oil. It really enriches their flavor. about 3 hours. If not, 4 hours or longer. I can fit 4 trays into my 36 inch range, on 2 different racks. Halfway through reverse the racks from shelf to shelf, and turn them 180 degrees to even things out. Just see how the tomato halves have shrunk. Take the trays out of the oven and let them cool a bit. such as a minnestrone, with white beans, added to a braise or stew. An easy way to put food by.